Free Wordpress Theme – Vector Art | WordPress Theme | All Free Web Resources for Designer - Web Design Hot! The Vector Art theme is built with professional vector design. 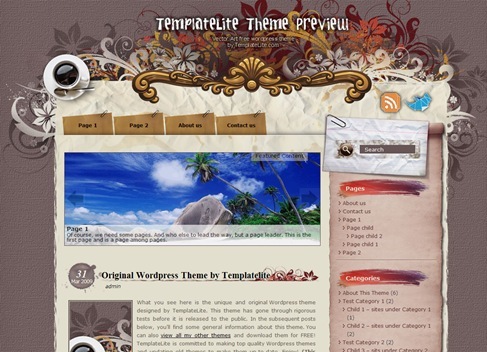 The theme options include Twitter and feed integration, advanced automatic thumbnails, custom style and more. Drop-down menu and Ad-sense ready. Tested on WP 2.9+ using Firefox, IE7, IE8, Google Chrome, Safari and Opera. This entry was posted on Sunday, June 6th, 2010 at 10:15 pm and is filed under WordPress Theme . You can follow any responses to this entry through the RSS 2.0 feed. You can leave a response, or trackback from your own site.